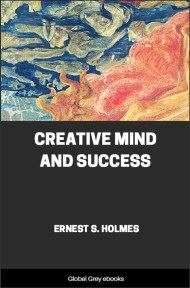 From the author of Creative Mind And Success, comes this short book on how to utilise the power of your mind. 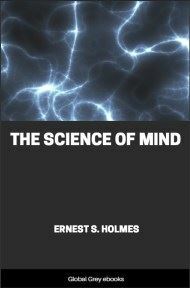 Holmes shows us how our thoughts can become reality and what we can do to use that to our benefit. "IN the beginning, God!" Clear and expressive are these words. In the beginning, God only. No manifest universe! No system of planets! Nothing of form or life, of brute or man! God was the Spirit of All that was to be, but He had not yet moved upon the waters. Then this All-Being moved, or began to create. Where did Spirit move, upon what did It move to create; where did It get a pattern; what means or power did It employ; through what agencies did It work? In short, what is the world, ourselves included, made out of, and how did we and all else come into being? These questions correctly answered would solve the problem of being and set men free. Let us consider. The Spirit was all; there was nothing else but Itself. All-Inclusive, Everywhere, Infinite. This All-Spirit could not have had the impulse to move unless It were self-conscious, therefore the Spirit is the Power that knows Itself; It is accordingly All-Knowing as well as All-Present. Being one, undivided, whatever It knows, It knows all over instantly. We find then that the Spirit operates through self knowing. 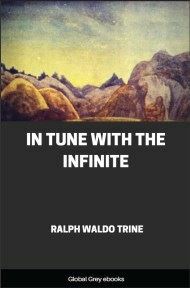 It moves, and that inner movement must be one of Infinite Power, moving upon Itself--since It is all--and with a definite purpose. The Spirit, then, moves upon Itself, and makes out of Itself all that is made. In other words, what we see comes from what we do not see, through some inner intelligence at work, which knows there is no power but Itself. "The things that are seen are not made of the things that do appear." The only possible operation of intelligence is thought, or "The Word." So all things were made by the Word, and "Without the Word was not anything made that hath been made." How simple the process of creation when we understand it. 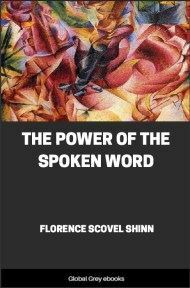 The Spirit speaks--and since there is nothing but the Spirit and it is All-Power, it has only to speak and it is done; "The Word was with God and the Word was God." From the Word, then, comes forth all that appears. Each life, human or divine, each manifestation is a different kind of word coming into expression. 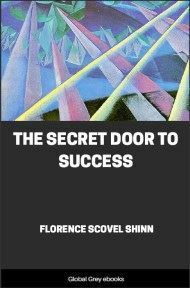 The great fact to dwell upon is that Spirit needs nothing to help It; It is self-conscious and has all power and all ability to do whatever It wishes to accomplish. It operates simply by speaking. It is hard to get a clear concept of this great Ceaseless Cause, this something from which all things come; at times we get into a maze of confusion when we attempt to realize what the Spirit means. It is then that we should think of It as the great reason behind everything. Being all-knowledge It must know Itself, and must know everything It creates; so It knows us and It knows everyone. Since It is All-Presence we can contact anywhere and will never have to go to some particular spot to find It. As It is All-Knowing and operates through the power of the Word, It know everything we think. Just how It creates we cannot know and need not attempt to understand, for whatever this process of creation is, we find it is always an inner thought process. We should keep this in mind--the Spirit makes all things out of Itself. Everything comes into being without effort, and when we exert ourselves we are not in accord with the Creative Spirit in the way in which It works. The impulse of the Spirit to move must be caused by a desire to express what It feels Itself to be--Beauty, Form, Color, Life, Love and Power. All things else we find in the manifest universe are attributes of the Spirit, and are caused to spring into being through the Word, because the Spirit wants to enjoy Itself. 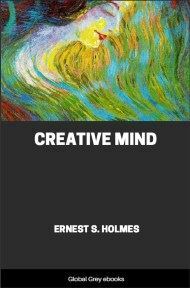 We find, then, that the Word, which is the inner activity of thought, comes first in the creative series, and all else comes from the effect of the Word operating upon a universal substance. If the Word precedes all else, then the Word is what we are looking for, and when we get it we shall have what the world has sought from time immemorial. We must, if we wish to prove the power of the Spirit in our lives, look not to outside things or effects, but to the Word alone. The human eye sees and the human hand touches only that which is an effect. Unseen law controls everything; but this Law also is an effect; Law did not make itself; the Law is not intelligence or causation. Before there can be a Law there must be something that acts, and the Law is the way it acts; it is intelligence. "In the beginning was the Word." This Word or the activity of the Spirit, is the cause of the law, and the law in its place is the cause of the thing, and the thing is always an effect; that is, it did not make itself; it is a result. The Word always comes first in the creative series; "The Word was with God and the Word was God" and the Word still is God. When we realize that man is like God (and he could not be otherwise, being made out of God), we will realize that his word also has power. If there is but One Mind then it follows that our word, our thought is the activity of that One Mind in our consciousness; the power that holds the planets in their place is the same power that flows through man. We must place the Word where it belongs, whether it is the word of God in the Universe or the word of man in the individual; it is always first, before all else, in the beginning. The real sequence is this: Cause, Spirit, Intelligence, God; the Word, the activity of Intelligence; the effect, or the visible thing, whether it is a planet or a peanut. All are made out of the same thing. What we need to do is to learn how to use the word so that all will come to see that they are creative centers within themselves.